What is Zionism or Christian Zionism? Is it Biblical? 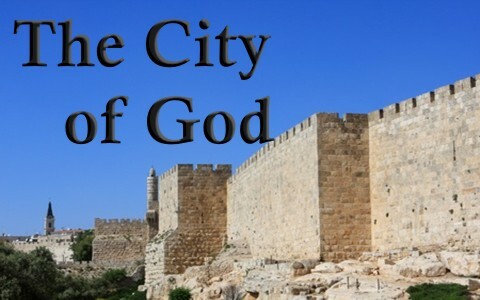 Zion is basically a name used synonymously with Jerusalem, so the City of Zion refers to Jerusalem. The word Zion comes from the Hebrew word “tsin,” which means “to protect.” The corresponding Arabic word is “cihw,” which refers to a “ridge of a mountain” or a “citadel,” and that seems to be the most likely origin of the word Zion. The word is first used in referring to the stronghold of the Jebusites that was captured by David. Jerusalem is sometimes called the City of David since David took Jerusalem shortly after Saul’s death. Zionism is a national movement for the liberation of the Jewish people and the state or nation of Israel. Originally, Zionists were Jews who were still observant or orthodox in their practice, and they desired to establish a Jewish state in the Land of Israel, but Zionists still exist, and their desire is still toward their nation, and chiefly, Jerusalem. They see Jerusalem as belonging to solely and exclusively to Israel, as it was in ancient times. When you read about the Daughters of Zion in Scripture, it must be understood that this is only an analogy as Israel being the Daughter of Zion; a nation chosen specifically by God. Zionism, as I mentioned before, is a national Hebrew or Jewish movement that seeks to establish a land and state for Israel, and more specifically, desires to make all of Jerusalem as part of the nation, and even seeks to establish Jerusalem as the nation’s capital. Today, Jerusalem is divided. It is a place where cultures and religions clash. Jerusalem has seen more than its fair share of bloodshed. In fact, this city has been destroyed at least forty times. That is more than any other single city in the world, and it’s not surprising because this is where God choose to place His name and to make Jerusalem the capital of the Nation Israel. Originally, God had man build a temple so He could dwell in it; today, man is the temple in which God dwells in. Sadly, many of the Jews are still waiting for the Messiah. They leave a symbolic empty chair at the Passover Meal…a seat reserved for the Messiah, but the Messiah did come and has gone again, and they did not recognize Him in His day (Luke 19:44). That day is coming when they will finally acknowledge Jesus as the Messiah, or the “Anointed” of God, the Lord Jesus Christ; the Savior and King. Christian Zionism is essentially a Christian belief that the return of the Jews to the Promised Land in 1948 was a fulfillment of Bible prophecy. Many believe that Israel s return to the land brings us one step closer to Jesus Christ’s return, but right now, not everyone can say to their neighbor they know about God. At present, the earth is not full of the knowledge of God (Hab 2:14), and in this day, we cannot say, “They shall not hurt or destroy in all my holy mountain” (Isaiah 11:9). Today there is much destruction going on in the world, and danger certainly surrounds Israel, and there is still plenty of hurt to be seen. Someday, God will again gather His people. To an extent, they are gathered today, but exceedingly few know God or Jesus. There is no way in this day and age that the “The wolf shall dwell with the lamb, and the leopard shall lie down with the young goat, and the calf and the lion and the fattened calf together; and a little child shall lead them” (Isaiah 11:6). Today, if the lamb dwells with the wolf, it is usually in his stomach. Much of Zionism is built upon the promise that God made to Abraham, particularly in Genesis 12 and 15. For example, it says when “Abram passed through the land to the place at Shechem, to the oak of Moreh. At that time the Canaanites were in the land. Then the Lord appeared to Abram and said, “To your offspring I will give this land.” So he built there an altar to the Lord, who had appeared to him” (Gen 12:6-7). Two thousand years later, the Jewish religious leaders were the descendants of Abraham, and they thought that because their father was Abraham, they would be in the kingdom, however Jesus warns them by saying, “And do not presume to say to yourselves, ‘We have Abraham as our father,’ for I tell you, God is able from these stones to raise up children for Abraham” (Matt 3:9). They looked to their family heritage; to their religious background, and not God. They pointed to Abraham and not to the Lord. They protested Jesus’ words, saying, “Abraham is our father.” Jesus said to them, “If you were Abraham’s children, you would be doing the works Abraham did” (John 8:39). Jesus’ point was “do not presume to say to yourselves, ‘We have Abraham as our father.” It is not about race but about grace. God saves all who would repent and believe in Jesus Christ. Jew, Gentile, woman, man, black, white…it doesn’t matter to God. He looks at the heart (1 Sam 16:7). God has no grandchildren…only born-again children. 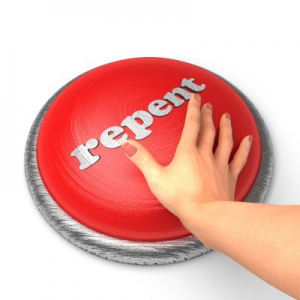 Every Jew, today, or into eternity, will have to repent and believe. Race is not enough. God is surely not finished with the nation of Israel. We know that from Scripture. Perhaps Israel’s becoming a nation again, and having its own land, may point to the end times being closer, but no one knows the hour. All we can do is to keep our eyes focused on Jesus Christ, while not ignoring world events. The Apostle Paul warned the Church at Rome that “the hour has come for you to wake from sleep. For salvation is nearer to us now than when we first believed” (Rom 13:11). That much is true. We are closer to His return today than we were yesterday. It draws nearer, every day, although we don’t know the day or the hour. We do know the clock is ticking…and the world has a date of destiny with Jesus. He will come to judge the quick (the living) and the dead, so today is the best day to repent and believe (2 Cor 6:2). There are no guarantees that tomorrow will come. Like Jesus told the religious leaders, we cannot presume upon God’s grace, thinking we can coast into the kingdom because our parents were Christian or we were raised in church. Indeed, “the gate is narrow and the way is hard that leads to life, and those who find it are few” (Matt 7:14). Why do so few find it? Because they won’t “Strive to enter through the narrow door,” even though Jesus said, “many, I tell you, will seek to enter and will not be able” (Luke 13:24). In God there is no Zionism or Christian Zionism. The only one that exists in the eyes of God is the born-again believer. A believer doesn’t have any tribe or ethnicity. A believer doesn’t belong to any generation. The believer’s generation starts and ends with God. 2 Corinthians 5:16-18. It is improper to ask a new born baby how was your past life? Previous post: What Are Unclean Spirits? Next post: What is the Sacred Name Movement?